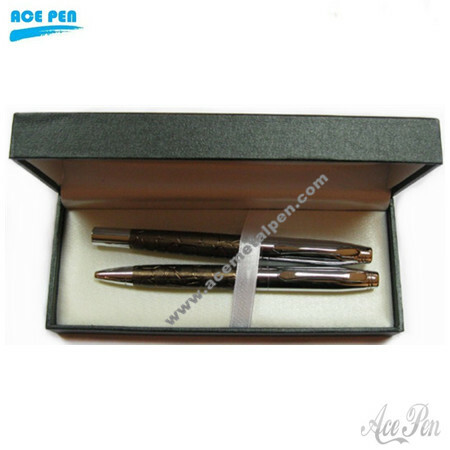 The Gift Pen sets makes a great corporate gift. Made of solid heavyweight brass, this Customized Gift Pen sets is available with rollerball or ballpoint option. Includes a quality gift box make a memorable and lasting gift.It is best for your choice of ballpoint or rollerball styling. This unique Executive Promotional Pen is sure to keep your company on your clients' minds.